Looks like my book is out in paperback now at an actually affordable price ($25). And, if that’s too much, you can actually get the kindle version for $9.99. 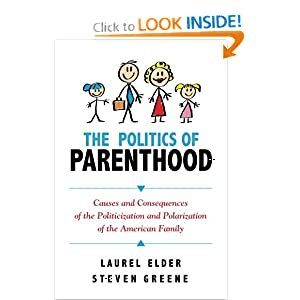 In the forthcoming paper in next month’s American Sociological Review, “A Reconsideration of the Fatherhood Premium: Marriage, Coresidence, Biology, and the Wages of Fathers,” Killewald shows that the wage gain does in fact exist, but that boost is not available to everyone. Wow. Memo to the single men– put a ring on it. So, what’ going on? Killewald found that married fathers who lived with their biological children did not receive a statistically significant wage increase if their wives worked full-time. Men married to women who work less than full-time or who stay at home, however, are all but guaranteed the bonus. This may imply that diminished household responsibilities allow these men to fully devote themselves to their careers, making it possible to have a wife who does unpaid labor. Hey, look at me, I’ve got it all! (Actually, I do, and I appreciate it very much. But I still really miss my dog). Quite interesting to see just how much variation in geographic reach. 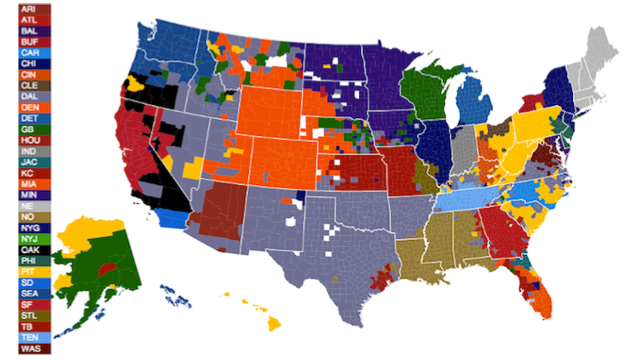 The Cowboys do seem to be “America’s team” and the Ravens seem to have about the geographically smallest fan base. And you’ve got to be impressed with the Steelers. UPDATED: Gov. Pat McCrory said he would propose legislation to overhaul the way higher education is funded in North Carolina, putting the emphasis on job creation not liberal arts and taking specific aim at the state’s flagship university. “I think some of the educational elite have taken over our education where we are offering courses that have no chance of getting people jobs,” McCrory told conservative talk show host Bill Bennett, the former education secretary for President Ronald Reagan, during an interview Tuesday morning. (Listen to the audio here. Aligning our universities with the needs of industry sounds good and I applaud UNC system President Tom Ross for starting the conversation. But if producing “what business needs” means shifting from a broad education to a narrow training, we risk shifting our economy away from one that is driven by creativity and radical innovation. We may produce graduates that today’s businesses need, but we may stop producing the graduates that tomorrow’s businesses need. If we do that, we will stop producing tomorrow’s businesses. In this jobs-focused time, we surely want to avoid that strategy. And finally, to belabor the obvious, it’s a real shame that McCrory does seem to think that knowing how to learn, how to think critically, or write effectively, are valuable job skills. Of course, these are all things I do in my dreaded Gender & Politics course. And I daresay, when it comes to critical and creative thinking my students typically get as much or more out of this class than any I teach. And as for the content I daresay understanding the dynamics of gender in contemporary society and politics can be quite useful for almost any job, even one on an assembly line (the type, it seems, Mr. McCrory might prefer). One of my more conservative-oriented students came by yesterday to discuss this and said, “but doesn’t McCrory have a point that…” I cut him off. Yes, there are absolutely ways we should think about reforming higher education and what the role of state universities should be in this, but Pat McCrory has shown himself to be completely and utterly lacking credibility on the issue, so any serious conversation should start elsewhere. I wonder how many of the Democrats and genuine Independents who voted for McCrory realized they were getting a Tea Party radical. Ugh. Our beloved dog, Sasha. After seeming perfectly healthy when I went to bed Monday, yesterday saw cluster seizures I ended up spending hours and hours at the NCSU veterinary hospital yesterday and left after making the gut-wrenching decision to have Sasha euthanized. That’s why there was little blogging yesterday (and we’ll see how much I get to today). She was a terrific dog whom we had for far, far too short a time– only 3 1/2 years (she was probably about 6– we don’t know for sure her age as she was a rescue). Worst part by far? Explaining it to the kids. Ugh. And, this is one of my favorite pictures I’ve taken of a family member period. “Likes” of the post will be appreciated as a sign of sympathy, I wouldn’t assume that you like that this happened.